This morning, I and the other 156 attendees of SVPCA 2017 received a useful document, SVPCA report_for attendees, which collects and analyses delegates’ feedback on the meeting. It prompted me to mention a few more thoughts of my own. First, I didn’t like the shortening of the meeting, from the usual three or even four days to two and a half (or just two if you ignore the macroevolution symposium). But it’s apparent from the gathered feedback that nearly everyone disagrees with me on this. 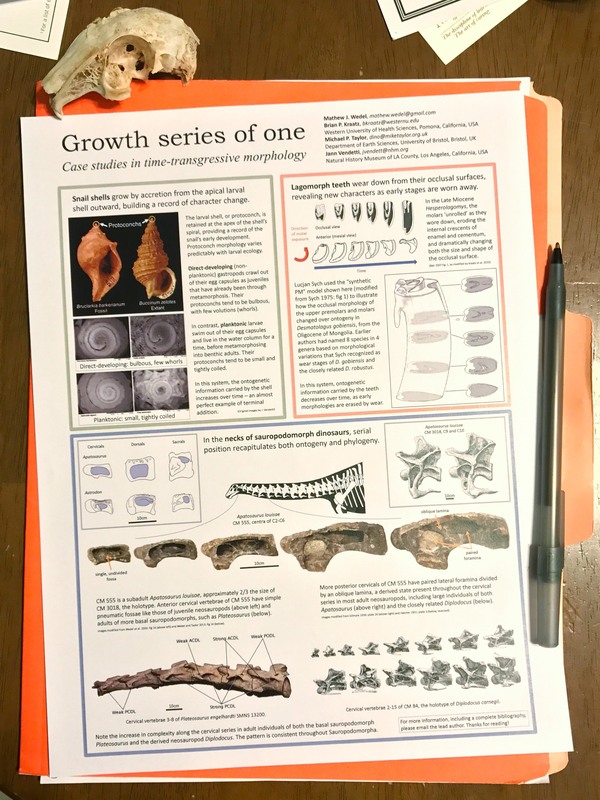 My position may be an artifact of my idiosyncratic status on the edge of the field: SVPCA is pretty much my only physical (non-blog) contact with the vertebrate palaeontology community, so by the time I’ve taken a week off work for it, the more of that time I can use for it, the better. By contrast, people who spend most of their work-hours with other palaeontologists don’t have that incentive, and see a longer meeting as a financial burden. I’m guessing that if the survey had specifically asked for opinions on meeting length and then compared those opinions with people’s career stage, they’d find a strong correlation between amateur and other unusual statuses, and preferring a longer meeting. Sadly (for me), it seems pretty clear how this one is going to go: the meeting is attended overwhelmingly by professionals of various career stages. Since the majority of those prefer the shorter meeting, I imagine Birmingham’s abridged programme will become the new normal. Second thing: a lot of people complained that the posters were only up for the dedicated two-hour session, and quite a few didn’t like having a dedicated poster session at all. Once more, I find myself in a minority here. 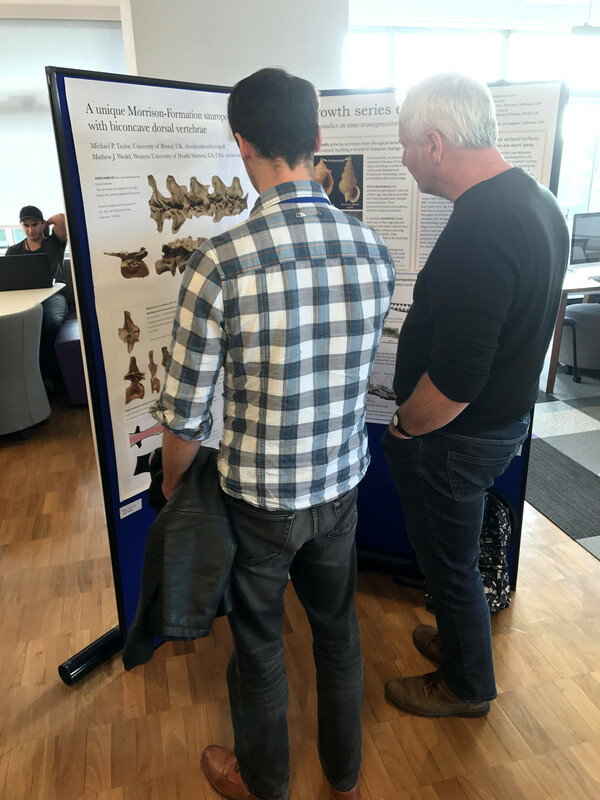 As someone presenting a poster, I very much appreciated having time dedicated to it. And I also liked that it was restricted to a specific slot, so I didn’t feel I had to spend the whole meeting babysitting the poster. Wine was provided for this session, which made it feel like a friendly, bustling session with plenty of science going on, and time to go and physically fetch the people who I specifically wanted to discuss my poster with. The third thing, which I forgot to mention on my feedback form, is that lightning talks need to be all together in a single session. These talks didn’t really work at Birmingham. By tagging two or three of them on the end of a regular session, they simply came across as a lesser versions of regular talks — tail-enders with no particular merit of their own. But I do think lightning talks can work well: I’ve been in conferences (admittedly in computer science and library science rather than palaeo) where the lightning-talk sessions have been the best in the conference. The key is keeping all of them together in a single, dedicated session, and really keeping the pace up: whizzing through each talk within a strictly enforced five-minute time limit, and leaping from subject to subject. It can be exhilarating. The fourth thing is that I was not wholly convinced by the symposium. Given the scarcity of talk slots, their limited length, and the carefully blinded abstract review process, it seems inimical to invite a special anointed class of speakers who get twice as long and don’t have to go through review. I might have been convinced despite this, had the quality of the talks been uniformly higher. But as one respondent to the survey wrote: “I was alarmed and disappointed to hear one presenter say that they had put their talk together the night before, and it showed”. It really did. Surely if being invited to give a double-length talk is anything, it’s an honour. People in receipt of that honour should either do their job to a level that merits it; or, if they don’t have time, politely decline and let someone else have the slot. Finally, and least important, the annual dinner. This was a curry, with a good selection and far more food than we needed. But the report says “there have been a few comments […] that more people might attend if the food was more of a meat-and-two-veg type affair, and that some people would like to see a more formal, or more ‘special’ dinner”. For whatever it’s worth, I threw my hat in partly because it was a curry. In my experience, attempts at catering “special” dinners for large groups tend to produce mediocre food tarted up, which is why my group tends to skip the dinner. But I’m glad I went this year. I liked the sense of being part of an ongoing community, of seeing the handover to next year’s host (Rob Sansom), hearing who the winners of the prizes were, and so on. 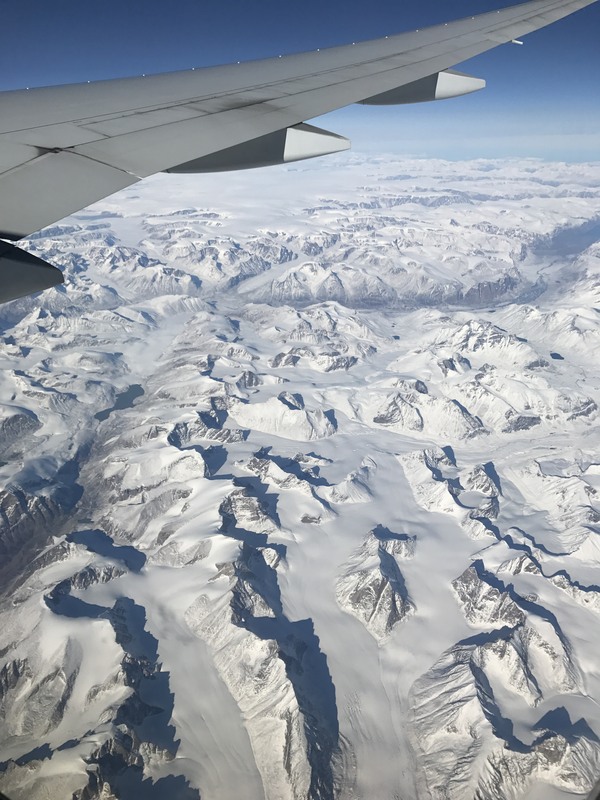 After my short post on what to leave out of a conference talk, here are few more positive thoughts on what to include, based on some of the SVPCA talks that really stayed with me. First, Graeme Lloyd’s talk in the macroevolution symposium did a great job of explaining very complex concepts well (different ways of mapping morphospace onto phylogeny). It was a necessarily difficult talk to follow, and I did get lost a few times. But, crucially, Graeme offered lots of jump-back-on points, so I was never out of the game for more than a minute or so. I think that concept of jumping-back-on points is important (albeit clumsily named). It’s easy, if someone is describing for example a detailed osteological point about a bone in basal tetrapods that doesn’t even exist in the animals we know and love, to tune out and lose the thread of the rest of the talk. There is an art in making it easy for people in this situation to tune back in. I’m not sure how it’s done: it might be more a matter of style than of content. I’ll think more on this one. Also: several times as I watched Graeme’s talk, I internally raised an objection (such as low explanation-of-variation values of PC1 and PC2 in the plots he was showing) only for him to immediately go on to note the issue, and then explain how he deals with it. This should not be too difficult to emulate: anticipate possible objections and meet them in advance. This is something to have in mind when rehearsing your talk. It was a talk that had obviously had a lot of work put into it. Another talk, which I shall not attribute, had very obviously been thrown together in 24 hours, which I think is flatly unacceptable. When you know you’re going to have a hundred professionals gathered in a room to listen to you, do the work to make it worth the audience’s while. Putting a talk together at the last minute is not a ninja move, or a mark of experience. It’s simple unprofessionalism. 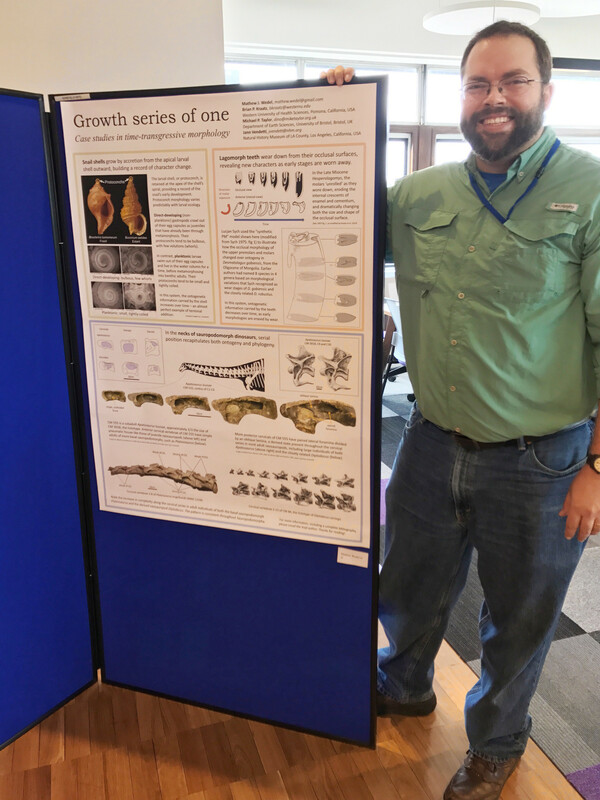 Neil Brocklehurt’s talk was based on a taxon that was of very little interest to me: Milosaurus, and the pelycosaur-grade synapsid group to which it belongs. But his presentation was a textbook example of how to efficiently introduce a taxon and make it interesting before launching into details. There is almost certainly video out there somewhere — the SVPCA talks were filmed — and I recommend it highly when it becomes available. 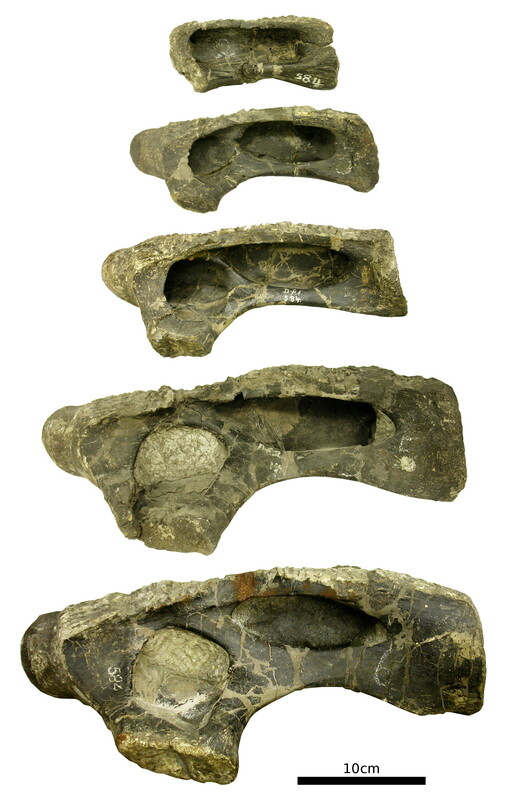 For fifteen glorious minutes, I was tricked into thinking that Carboniferous synapsids are fascinating. And it’s left me thinking that, hey, maybe they are interesting. My poster (left) and Matt’s (right), in their natural environment. Phil Mannion (Mammalia: Primates: Homoninae) for scale. But it was eye-opening to road-test what I’d thought was a pretty good poster with real visitors. 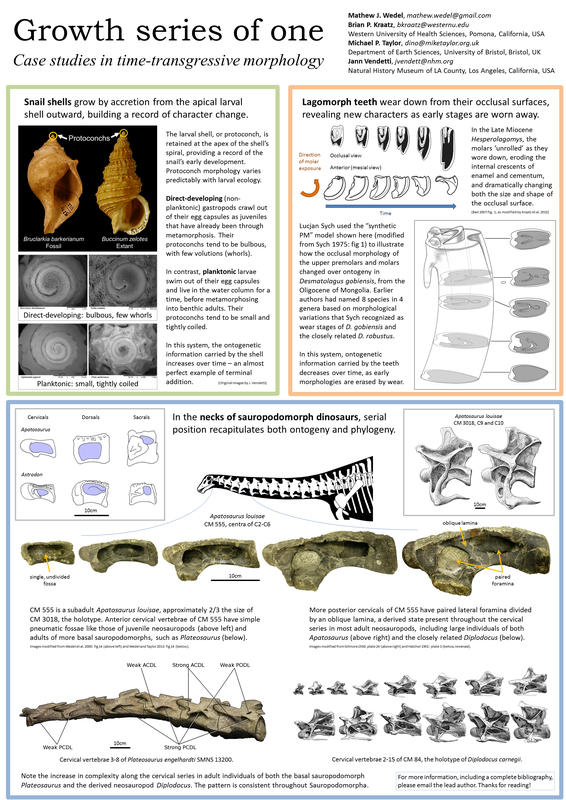 I quickly realised that the “Biconcavoposeidon” poster was missing two important things. 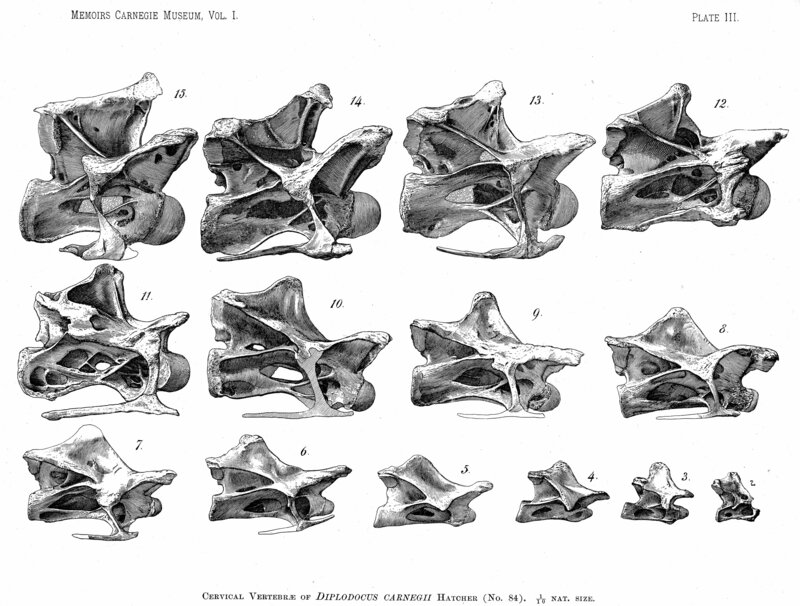 The second problem: another insert shows — again in schematic form — how vertebrae articulate in amphibians and mammals. But I really needed a third part of that figure showing how the articulation works in birds. 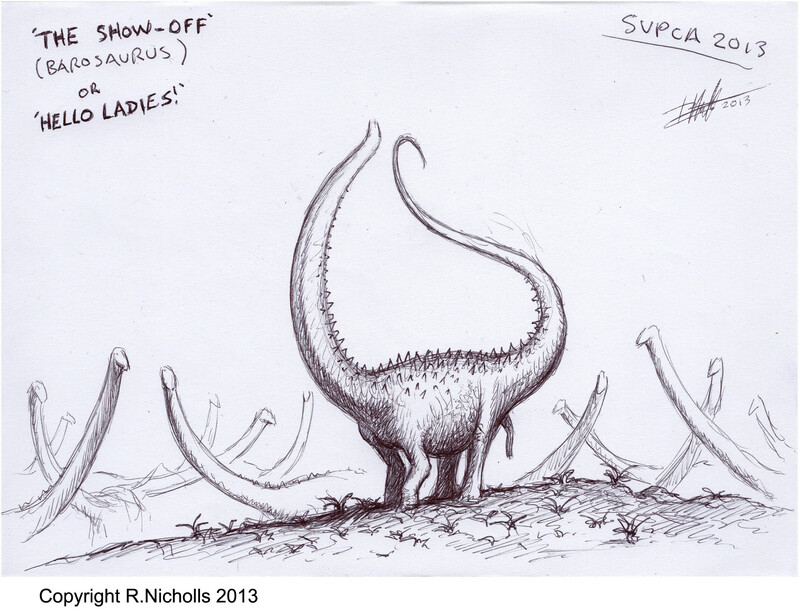 I kept needing to point to such an illustration, and I didn’t have one. But all is not lost: I am not bound to an imperfect poster for all time. The poster is published as part of a PeerJ Preprint, and I can revise that preprint as often as I like. Which means I can revise the poster. And that is what I plan to do. I’ll make both of the changes described above, and update the published version. 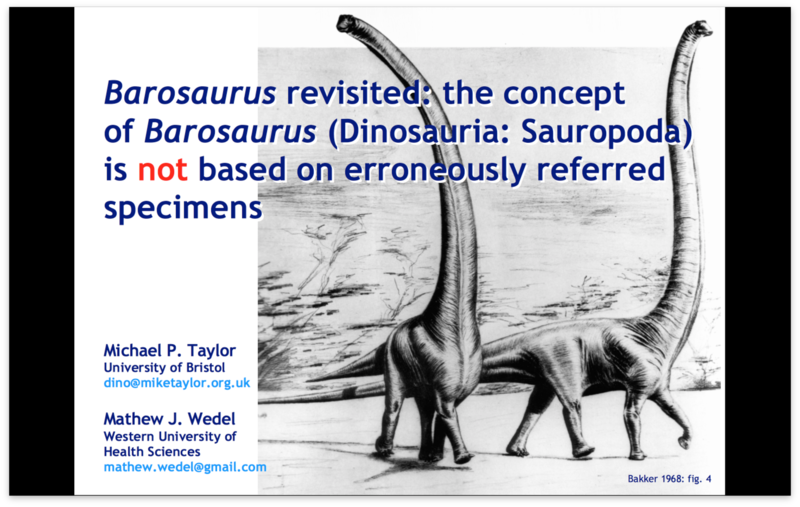 The question then becomes: in my publications list, where the poster is explicitly tied to the presentation at SVPCA 2017, should I continue to point to the version that I actually used at the meeting? I am inclined to think so. But I am not going to re-organise the poster along those lines in the forthcoming revision. Why not? Because I don’t expect to present the new version at a conference, where eye-level is an issue. Instead, I expect it to stand as a research artefact in its own right, to be viewed on screens or printouts — and for those purposes, the present composition is better. That’s true especially because most people downloading the poster won’t have the red/cyan glasses necessary to view what would be centrepiece of the putative revision; but when presenting the poster at a conference, I can provide the glasses (and I did). So I think I have now landed on the notion that a poster as a research artefact is a fundamentally different thing from a poster for presentation at a conference. I didn’t see that coming.